The medical doctors told me that I was too weak for chemotherapy and medical interventions and i was told to go home and get my affairs sorted out as I was given only 3-6 months to live. Of course horrified i didn’t believe that . My daughter had been seeing Dr Jason and I was keen to do something as i didn’t believe my doctors prognosis. 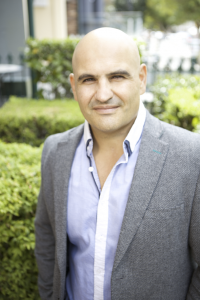 Dr Jason Mallia is a world renown speaker having spoken at various world congresses both in Australia and abroad . Topics include , Blood Type Medicine , Integrative Medicine , cancer , diabetes and inspirational talks to the general public . 2) Kiiko Style acupuncture is largely defined by its use of a highly systematized method of palpation. becomes an easy to use method for obtaining instant feedback as to the patient’s condition of health. practitioner can solve difficult cases. system come directly from first-hand experience gained from some of Japan’s greatest acupuncturists. Longevity is a term thrown around to describe the length of time a person may life in their lifetime . What it does not describe is the state of wellness a person may have on this process . Now , the question is, would we still be want a long life or longevity with ill health? , ,most would probably say NO , what do you say ??? In my experience as a clinician and a student of life feel that there are several important factors that increase our life span and potential for wellness in this time , a popular book called the blue Zone decribes some of these. community and a social network . Im my day to day practice what I see that is often deficient is the need for a Life purpose, a Passion and Love .People often come in with health conditions related to stress that is connected to these things . I ask many people do you love your job? and many respond with the answer no way its just a JOB and “thats why im here my job is stressing me” !. At this point we have the discussion about what job would you rather be doing and why are you not doing it ? After some time re-evalauting many come to the realisation that they need to follow their passion rather than just an income in their job . The other area is the feild of LOVE, I often see diffuculty in this area or lack or this in their life weather it be in their job or in their relationships . I see many people with poor or broken relationships that is in turn starts affecting their health . When they have love in their life they seem to have a purpose and direction and rarely are unwell , when love is non-existant certain conditions arise causing ill health . So when we think of health Wellness and longevity , ask your self what aspect of longevity is needing attention and start spreading the LOVE ! Stressed, tired and fatigued, sleep not fixing it ? you may need a holiday! Many people now days suffers from stress, tiredness and fatigue and can not seem to break the cycle. There are many known causes including , past viral infections, toxicity, emotional stress and simply just overwork ! In most cases rest , a change of diet or herbal meds can improve a condition, but many people don’t realise how important taking time out is . As clinician I burnt out early as a result of working too many days and not taking enough time for me , now days I have a balanced work /life ethic to offset this happening . For some to get back on track it is required to take a month or two off work and get away to ensure stresses are minimised . I often recommend patients take a well earned holiday . Do not take work things with you such as reading and other work related items ! My recommendation is that people take small regular breaks rather that 1 large break when all else has failed this will ensure you recharge regularly . For those on a budget try doing day trips to the sea , or blue mountains , if you can stay the night this is recommended . And remember don’t forget take your supplements with you! Feeling Tired and Flat as a result of the change in Weather? Many people complain of feeling flat when the weather cools down . In Summer due to the warmth your Qi (or energy) and Blood move around the body freely keeping you energised and healthy .However when the cold kicks in if a person has an underlying cold condition they may suffer as a result of stagnation of ther Qi and Blood . Symptoms may include , feeling flat , tiredness, acheing joints, depression and other . As a result many also dont get outside to replenish their vitamin D levels and become vitamin D deficient. Recent research has shown a link between Low plasma vitamin D and Depression .